Joe Weiss came to Miami in 1913 when his doctors gave him the choice of heading West or South for his asthma. 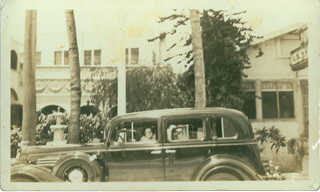 He opened up a small lunch counter on Miami Beach where he made a hell of a fish sandwich and planted the seeds for the Joe's Stone Crab we know today which has grown to include 5 generations, 340 employees, 3/4 of a city block and has been serving their famous stone crabs for over 94 years. "My grandmother was a true Hungarian," says Joanne Bass, "she had a terrible temper and would yell a lot in the kitchen in Yiddish. One of our chefs who was also a minister used to mimic her and ended up with the nickname "Rabbi" – he was with us for over 50 years."